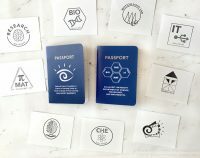 I probably get a little too excited every time I learn a new way that our custom passport booklets will be used. 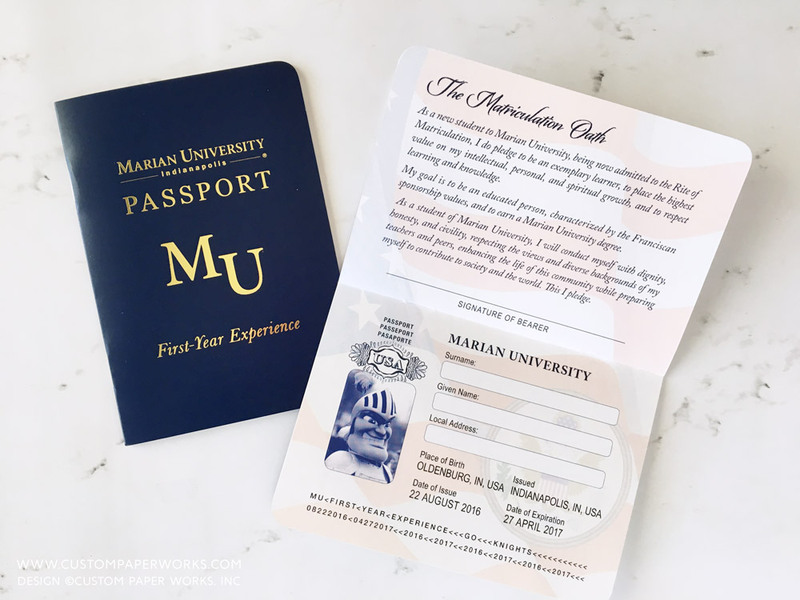 This passport was created for a “First Year Experience” program for incoming college freshmen that helps them get acquainted with the school’s services, departments, and expectations for each student. This is a 12-page custom passport booklet with lots of text and several places to collect stamps from various departments. A gold foil imprint was added to the cover for an authentic look. The client had liked some of the backgrounds that were used on one of our previous designs, and that inspired the general design for this passport booklet which held an absolute TON of information. 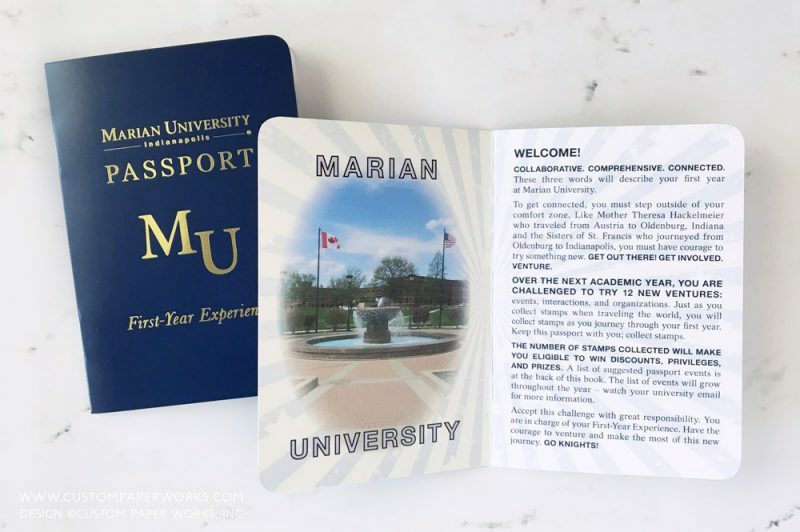 We’d love to work with your school to create a fun and informational passport or other mini booklet for your students to keep track of information all year long! 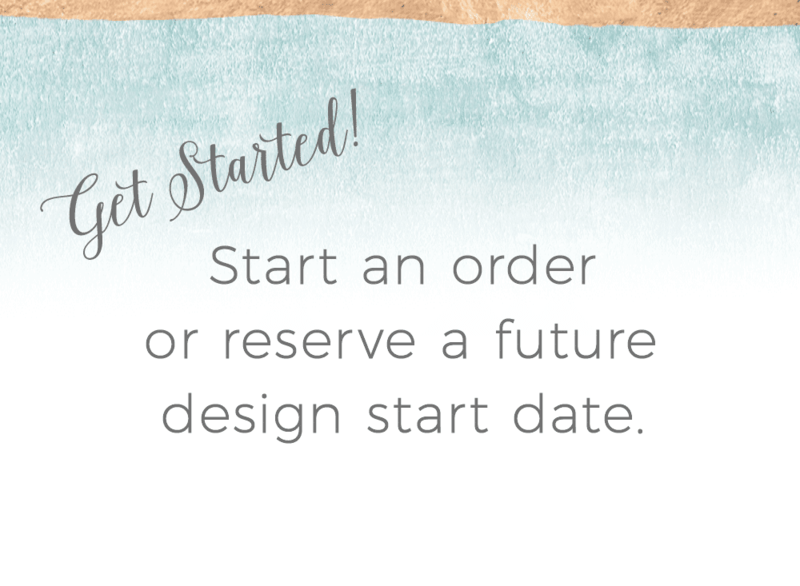 Request a quote below.